There are some who would unkindly argue that the best of Mike Oldfield is his first album. They are completely wrong of course, but with the release of yet another Oldfield compilation, is it bringing anything that the others haven’t? Actually, yes. The first serious Mike Oldfield retrospective quite sensibly divided the double album into four sections (they might even have been called ‘sides’ in those days): The Instrumental Section, The Vocal Section, The Complex Section and The Live Section. The first part collects most of Oldfield’s best known shorts pieces, many of which had not been available on album until this release, such as Blue Peter and Portsmouth. The vocal section includes most of the conventional songs released as singles up until that point. The third section contains excerpts from Oldfield’s early albums and sensibly, these excerpts are from the “finale” sections of Tubular Bells part one, Hergest Ridge part one, Ommadawn part one and Incantations part four. The Live section includes a complete performance of Platinum and none of tracks on this side are available elsewhere. For: Excellent selections, well sequenced, four live tracks unavailable elsewhere. Against: Not exactly complete any more. This single-disc collection focuses mainly on Oldfield’s short pieces, with eight conventional pop songs and only four excerpts from complex pieces. The excerpt from Tubular Bells is the opening theme and fades out after four minutes before jumping ahead to Family Man. It’s the same situation with Ommadawn, but the excerpt from Incantations is the same as on The Complete Mike Oldfield. In fact, the excerpt from Incantations is the same on every Oldfield compilation. This collection also scores points for including the 12” version of Shadow on the Wall. Tracks deemed worthy of inclusion since the last collection are Heaven’s Open, Islands and an excerpt from Amarok – the section that has become known as ‘Africa one.’ The single restructure version of Sentinel is also included, licenced from Warner presumably, since this collection released on Virgin after Oldfield’s departure. There seems to be no logic to the sequencing of the tracks. There are moments of consistency in the first half, but elsewhere it jumps around all over the place. A four-disc box set (see below) of Elements was also released at the same time. For: Extended version of Shadow on the Wall. Against: There are far better options. The Essential goes in the opposite direction to Elements, focussing mainly on Oldfield’s more complex work. The only conventional song on this collection is Moonlight Shadow. As such, the collection stays mostly true to its title. Oldfield’s flirtations with 4-minute pop/rock songs in the 80s were perfectly competent and as good as any of his contemporaries, but they lacked the uniqueness of his long instrumental work and are therefore, slightly inessential. The collection opens the same way as Elements with the same excerpt from the opening theme of Tubular Bells. I regard this as a shortcoming since the finale section is far more important but really, who cares? Tubular Bells is always the first Mike Oldfield album anyone buys so any excerpt is probably surplus to requirements anyway. The excerpt from Hergest Ridge is a curious selection from the middle of Part one. Ommadawn is represented by the final section of Part one. The Warner years are well represented with the single edits of Sentinel and The Bell. The latter features the dear departed Viv Stanshall reprising his role as MC (it was Alan Rickman, uncredited, on the album). There are two pieces each from the underrated The Songs of Distant Earth and what was then Oldfield’s current (and rather dull) album Voyager. The album concludes with an excerpt from Tubular Bells III, which would be released the following year. The track went on to become The Source of Secrets, but The Essential remains the only release to include this early version. For: Good selections, rare versions of The Bell and The Source of Secrets. Against: Not the best excerpts from Tubular Bells and Hergest Ridge, mostly ignores the 80s. This 3-disc set really is a great collection. It runs in roughly chronological order and has enough space to fairly represent Oldfield’s career. There are two excerpts each from Tubular Bells and Ommadawn (the opening and finale sections of both) and for once, the excerpt from Hergest Ridge is the achingly beautiful opening section. The first disc also finds space for an excerpt from the under-appreciated Platinum (appropriately enough), the curious selection of Woodhenge, also from the Platinum album, and the utterly ridiculous but hard to find Don Alfonso. Discs 2 and 3 concern themselves mainly with singles, but a good number of them are extended versions and remixes that have never been available on CD before. This makes The Platinum Collection the ideal compilation for fans who already have all the albums. The downside is that, despite being a relatively recent release, this compilation has now been deleted and the only copies I’ve found online are going for ridiculous prices. This was probably Virgin’s last hurrah with the Oldfield catalogue before the rights to the recordings reverted to the artist. If you can find some old stock though, this is a great collection for newcomers and long-time fans alike. For: Great selections, lots of rare tracks. Against: Out of print, hideously expensive. This is the smart way to do a Mike Oldfield collection – put Tubular Bells on the first disc and the rest on a second disc. However, what’s included here on the second disc seems hastily slapped together and, for no apparent reason, stops at 1984. Most of the usual suspects are here. The excerpt from Ommadawn in the introduction section as appeared on Elements and the excerpt from Incantations is the same as on every other collection. On the plus side, it includes the long version of Guilty and a lengthy excerpt from Taurus II, although it would have made more sense to place it before Five Miles Out since the latter reprises riffs that were first introduced in Taurus II. 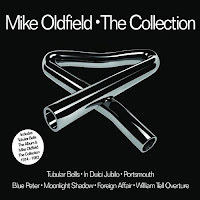 Other than that, The Complete Mike Oldfield is far better collection of the 1973-1984 period. For: Available as a single disc or packaged with the remastered version of Tubular Bells, long version of Guilty. Against: Includes nothing after 1984. Despite all the above and below this is the first collection to be personally compiled by Mike Oldfield without any outside suggestions, and much is made of that in the promotion. 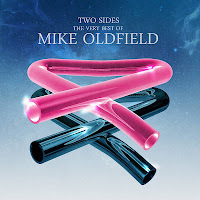 It’s also made very clear that Two Sides is a collection of what Oldfield considers to be his personal best work, without regard for commercial success or critical acclaim. This explains the inclusion of four tracks from The Millennium Bell, which Oldfield considers to be under-appreciated on both levels. The two sides refer to Oldfield’s complex instrumental work and his songs. They get a disc each on this double album. Naturally, Tubular Bells, Moonlight Shadow and Family Man are all here but beyond that, it is a very different collection to all the others. The excerpt from Tubular Bells is the longest ever, starting at the beginning and eventually fading out at the 14-minute mark, during the blues guitar section. There is the finale of Ommadawn and then we get a long excerpt from Crises and The Lake from Discovery. There are two excerpts from Amarok, the opening five minutes, and then all three Africa sections which made up the final quarter of that album. We get the complete version of Sentinel, not the ‘single restructure’ that appears on all the others, two pieces from The Songs of Distant Earth and the first disc concludes with The Tempest from Music of the Spheres. The second disc begins predictably enough with the early 80s hits but the second half of disc 2 reveals the most about what Oldfield considers to be his best work of the late 90s and early 00s. While no excerpt can do justice to Tubular Bells and Ommadawn, pieces like The Song of the Sun, Summit Day and Angelique end up sounding better when removed from the context of the relatively unremarkable albums they came from. Quite surprisingly, there is nothing included from Tubular Bells III. Both discs run in chronological order so as to reveal Oldfield’s musical evolution, rather than jumping around like many previous compilations. 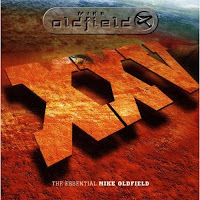 The CD also contains a digital key to access additional content at www.mikeoldfieldofficial.com. The bonus content is a 15 minute interview with Oldfield discussion the compiling of the album. It would have been better if they had made it freely available as promotion for the album. 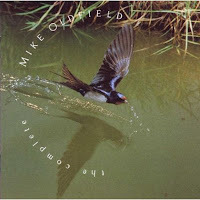 For: Newly remastered, career spanning, personally compiled by Mike Oldfield. Against: Leaves out some well known pieces. 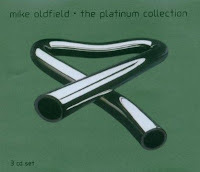 Firstly, if you don’t own any Mike Oldfield music at all, then proceed immediately to your nearest purveyor of recorded music (or downloads, at a pinch) and buy Tubular Bells. Right now! GO! If you’ve got that out of the way, this is actually a really hard one. 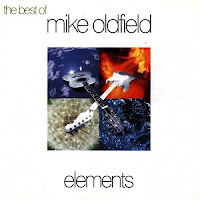 While a best-of is probably a sufficient representation of his more commercial phase in the 80s, in most ways, Mike Oldfield’s music defies anthology. There is not a single bar from first sides of Tubular Bells, Hergest Ridge, Ommadawn or Tubular Bells II that could be considered expendable and the mad genius of Amarok can only be properly appreciated in its full sixty minute and one second insanity. Note that this is a different mix. The unshaded area in the middle is the same as the album mix. Box set of Tubular Bells, Hergest Ridge and Ommadawn, padded out with non-album tracks. The original vinyl box had a fourth disc called Collaborations – the CD reissue padded the additional tracks across the other three discs. The most interesting aspect of this particular collection is that it uses the quadraphonic mixes of all the albums and the CD versions still feature the quad encoding. This means that if you have a quad amplifier or digital quad decoder, you can hear the music in the original version of surround sound. A rather cheap looking collection. On tracklist alone, it’s a pretty good collection to end the 70s with. Most of the well known non-album tracks are here, and it scores points for being the only non-boxed compilation to include the Sailor’s Hornpipe. The extract from Tubular Bells is the finale section and it quite clearly a different mix to the album version. Unfortunately, the sound across the whole album is thin and lacking in bass. Still, an interesting collection if you can find it going cheap. The first good thing about this collection is that it contains the complete, original Tubular Bells parts one and two. The second good thing is that it is peppered with rare tracks Vivaldi Concerto in C, Argiers, First Excursion, Afghan, the single remix of (One Glance is) Holy, several otherwise unreleased live tracks and for no apparent reason, an instrumental version of Trick of the Light. The third good thing about it is its recognition of underrated pieces like On Horseback, the Sailor’s Hornpipe (both as part of Tubular Bells, and as a standalone track), Taurus One and Crises. Unfortunately, most of this was negated by its high price at the time and unavailability today. If you can find a reasonably priced second hand copy, it’s great but not worth some of the prices being asked. Mike Oldfield has occasionally expressed exasperation that some people think Tubular Bells is a group, but it’s hard to blame them when there are titles like this around. By the late 90s, Oldfield and Virgin seemed to be competing with each other to trash the brand. It is an interesting and worthy idea to try and splice Tubular Bells part 1 together from the most interesting parts of the various released versions. Sadly however, most bedroom DJs could have done a better job. The edits and segues are jarring and the decision to leave out the section of part one between the blues guitars and the finale makes no sense. The only place it really works is in the transition from the Caveman song to the live conclusion of part two. The remainder of the collection contains most of the highlights from subsequent albums released under the Tubular Bells banner: Sentinel and The Bell from TBII, Far Above the Clouds from TBIII (I can’t understand why they didn’t include Secrets as well) and The Millennium Bell from the album of the same name. While they may be the best sections from each, hearing all these finales in rapid succession is like watching the last 30 minutes of all three Godfather films one after the other. Skip this and get the real albums. 2-disc collection split into songs and instrumental pieces. Contains all the usual selections from the Virgin years. The most interesting aspect is the inclusion of the complete Hergest Ridge part 1. Represented as the complete trilogy, this is nothing like complete. Tubular Bells 1 is represented by the 2003 re-recording. There’s nothing wrong with that, but you can’t call it complete if it doesn’t include the original. Then there’s the Orchestral Tubular Bells and several commercially released live versions, but since these were all owned by Virgin at the time, they’re not included. Really, it’s the complete Warner collection of Tubular Bells, which is fine if you’re looking for all three of those particular albums. Also includes a DVD which features the video clip for the single remix of Introduction and a teaser of the 5.1 mix of Tubular Bells 2003. Box set of the single-disc editions of the first six albums, very reasonably priced. If you’re looking to explore Mike Oldfield’s work beyond the records with the bent tube on the cover, this is an excellent place to start. Disclosure: I do not own all of these albums, but I do own nearly all of Mike Oldfield’s music in one form or another which means I know what each album will be like without owning every one of them. Was he the bass player for Genesis?